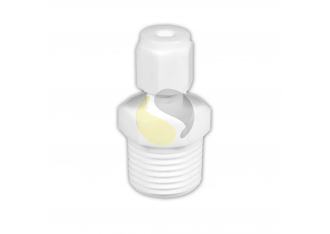 Adjustable PTFE compression fittings used to fix sensors into a process or application. A comprehensive range of adjustable compression fittings made from PTFE is available from Sterling Sensors for use with our range of fabricated or mineral insulated thermocouples and resistance thermometers. Available with parallel or tapered threads; they include a PTFE olive to suit cable or tube from 1/8” to 10mm diameter.